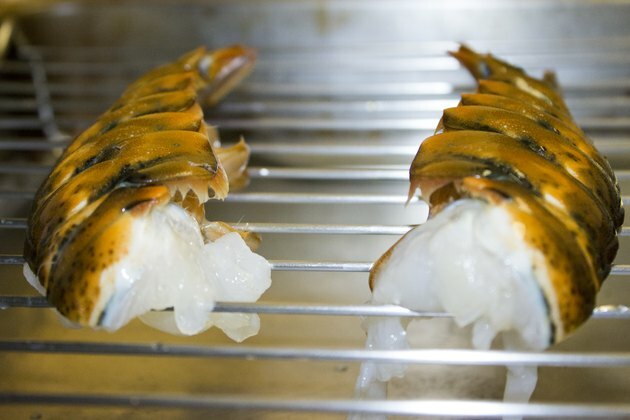 You can cook lobster tails quickly and easily over the flame on a gas grill. Baste and serve the lobster tails with melted butter for a decadent meal, or cut back on fat and calories by brushing and serving lobster tails with a tangy vinaigrette. You can get fresh or frozen lobster tails at a seafood market, or you can buy a whole live lobster and prepare your own tails. 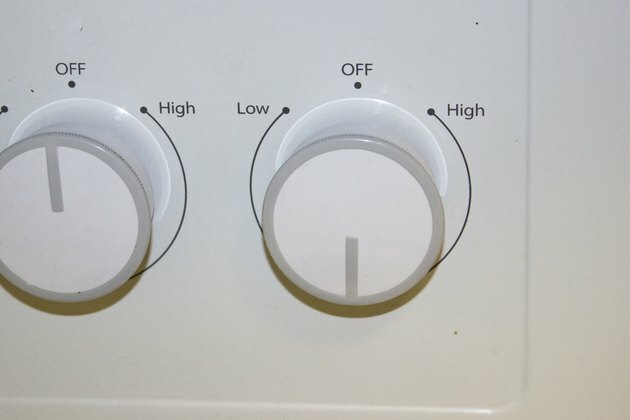 Light your gas grill and preheat it to the high setting, covered, for 10 minutes. 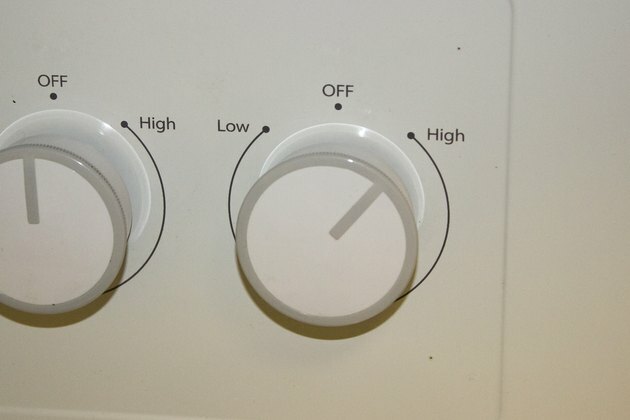 Reduce the heat on the grill to medium-high. 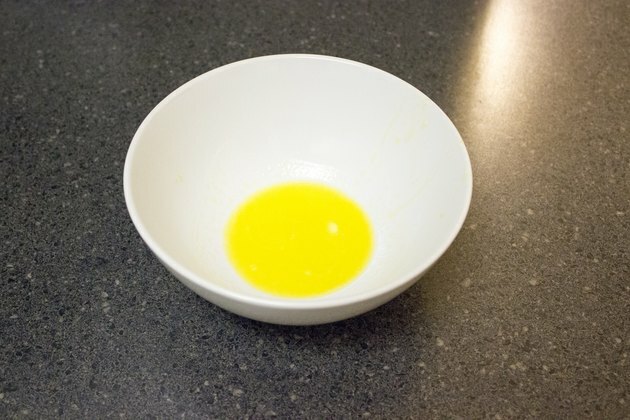 Soak paper towels in olive oil. Rub the grill grates with the oil-soaked towels, using a set of tongs. 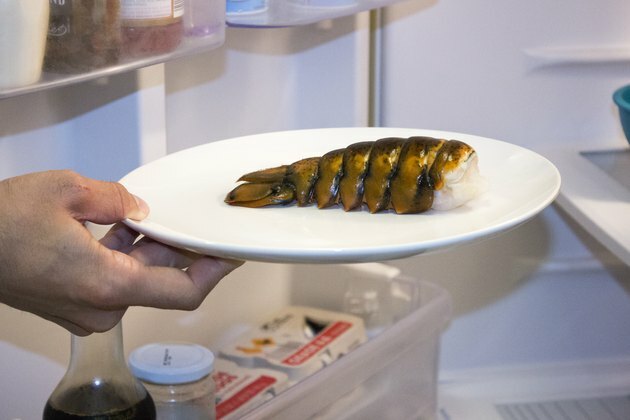 Remove the lobster tails from the refrigerator. Rinse the tails in cool water. 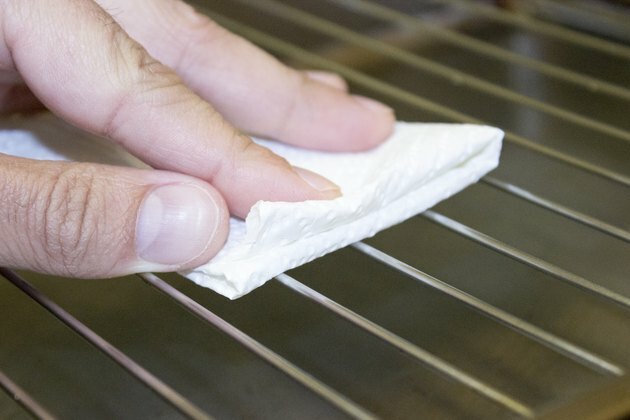 Pat them dry with paper towels. 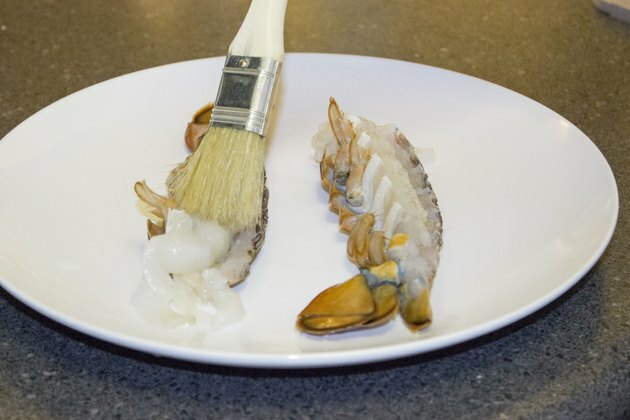 Cut the tails lengthwise through the shell, using a sharp knife or kitchen shears. Create two halves from each tail. Brush the meat side of the tails with vinaigrette, olive oil or melted butter, using a pastry brush. Sprinkle the meat side of the tails with salt and pepper to taste. 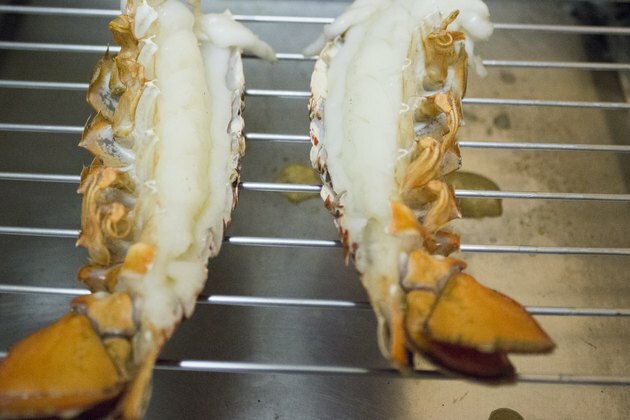 Place the lobster tails, shell side up, on the grill, using the tongs. Close the grill lid and cook for three minutes. 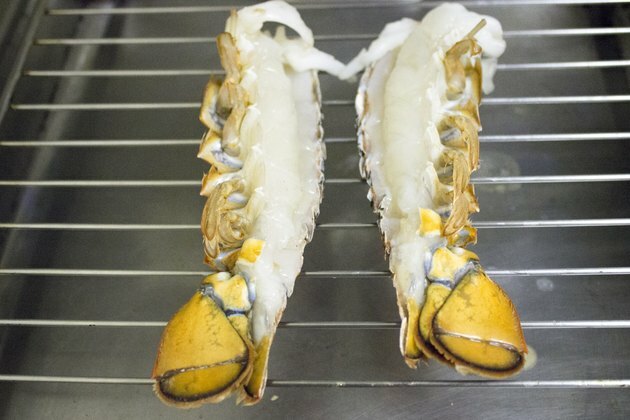 Open the grill lid and use the tongs to flip the lobster tails so that the shells face down. Brush more vinaigrette or butter on the meat side of the tails, using the pastry brush. 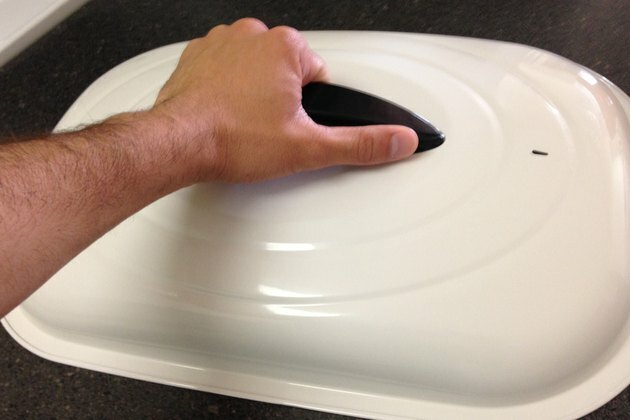 Close the lid and cook for three to five minutes. Check the lobster tails for doneness. Use the tongs to remove the tails from the grill when the meat is opaque and the oil or butter on the tails is bubbling. Serve the lobster tails hot, with extra melted butter or vinaigrette for dipping. To separate the tail from a live lobster, first plunge the whole lobster into boiling water for three minutes. After removing the lobster from the water and letting it cool, use your hands to twist the tail off the body. 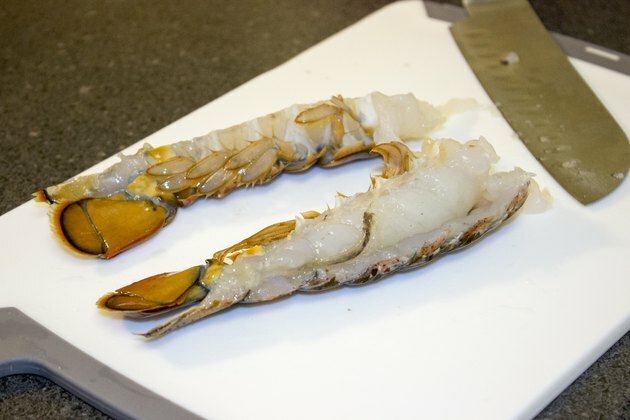 Keep your lobster tails in the refrigerator, covered in plastic wrap, until your grill is ready. Do not remove the meat from the tail shell before grilling. The meat will come out of the tail easily after it is cooked. The Gourmet Cookbook; Ruth Reichl et al.